This is a great book written by one of the greatest magicians of all time, Robert-Houdin. He describes in his own words his development from a little boy to a star performer. How he started as a watchmaker, performed in the St. James Theater, and ended up helping France with a conflict with the Marabouts. Read it. Highly recommended. 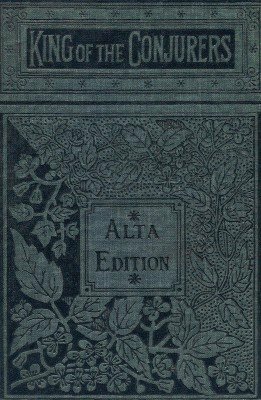 1st UK edition, 1859, Chapman & Hall, London; 1st edition US edition, 1859, Geo. G. Evans, Philadelphia; reprint, circa 1880, Porter & Coates, Philadelphia; reprint, 1942, Laurie, London; reprint, 1944, Jones; reprint, 1964, Dover; 436 pages. Had I but a Rat! Farewell to my darling Tools. My Father decides that I shall follow my bent. Signor Castelli eats a Man alive. Origin of the word prestidigitateur. Seven Thousand Francs earned by making Filings. The King and Royal Family visit my Automata. A Prize for the best Pun.